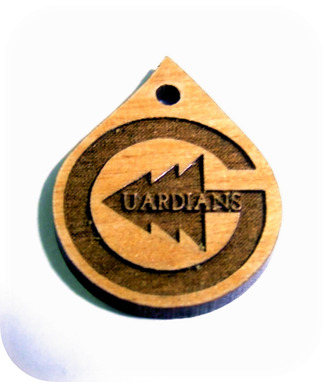 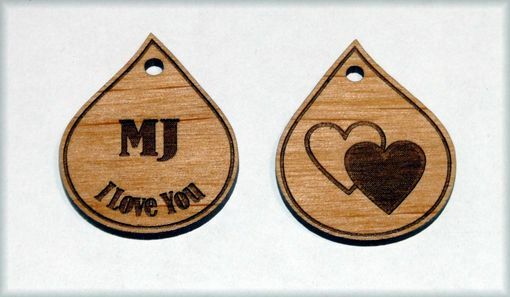 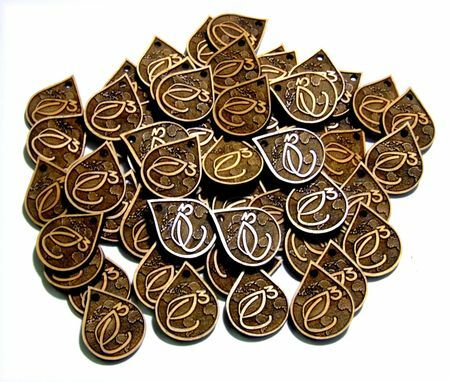 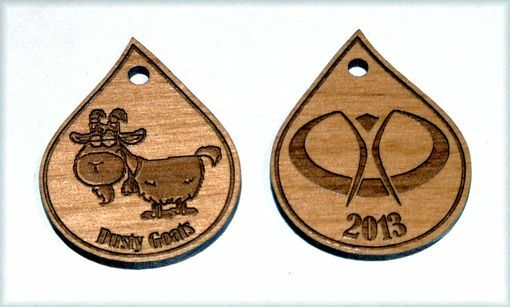 Laser engraved and cut wood charms with logo. 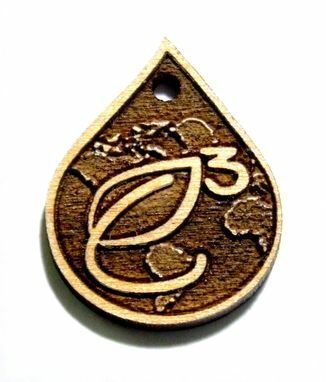 Made from 1/8 inch thick alder wood and engraved with logo. 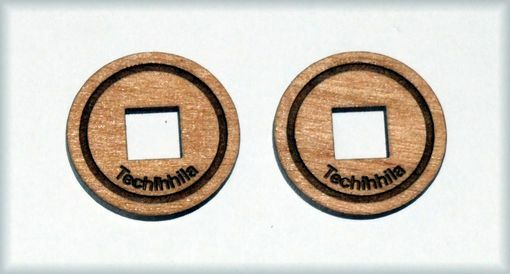 A hole is cut out for attaching to bracelet.